After touring around the globe and performing at innumerable live shows, DJ Snuggles has capitalized on his opportunities to build with diverse artists on and off the stage to release his long awaited debut project. Without further adieux Snuggles presents Issue #1of his 2014 EP series titled THAT BEAT. "Weight" video release party @ The Triple Rock June 27th! Download the EP "THAT BEAT" here. 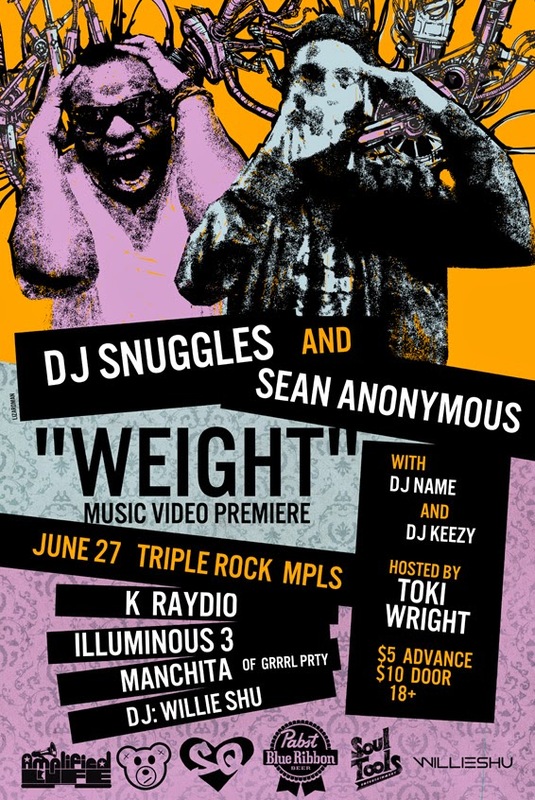 World-renowned beatboxer DJ Snuggles is pleased to announce that his new music video for “Weight”, the lead single from his project THAT BEAT: Issue #1, will debut during an exclusive premier party on June 27, 2014 at The Triple Rock in Minneapolis. 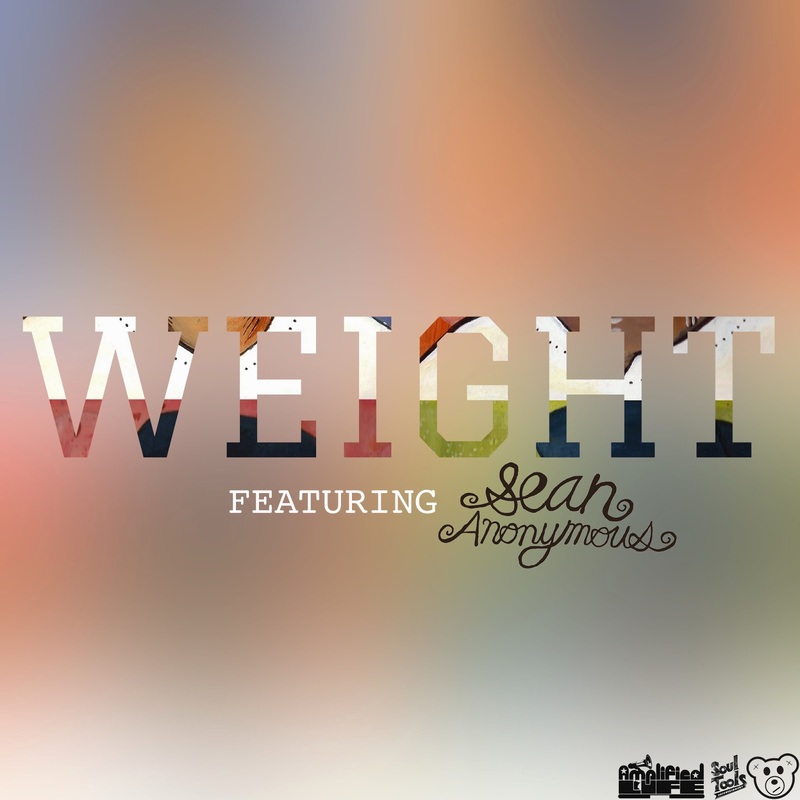 “Weight” is a collaboration with emcee Sean Anonymous and producer Big Cats and the music video was helmed by director by Dave Wilson (Frank Ocean, Yelawolf, Evidence, and more). Before the video goes live online, the full clip will be screened for their fans at the Triple Rock. The screening party will be hosted by Toki Wright and feature live performances from DJ Snuggles, Sean Anonymous, K. Raydio, Illuminous 3, La Manchita, DJ Willie Shu, DJ Keezy, and special guests. There will also be live art by Katie Kroeck Tickets are available for $5 in advance and for $10 on the day of the show. Sponsors for the evening are PBR, SexyQuality Clothing, and SoulTools Entertainment. 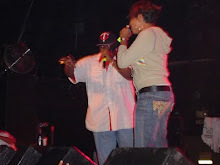 Snuggles’ video for “Weight” follows the successful February release of his new music series, THAT BEAT: Issue #1, and precedes his upcoming June release of THAT BEAT: Issue #2. Even as he continues work on new Issues of THAT BEAT for the third and fourth quarters of 2014, Snuggles still makes time to give back to the people of his community. He recently hosted the Nobel Peace Prize Youth Forum at Augsburg College. THAT BEAT: Issue #1 featuring “Weight” is currently available for free on SoundCloud and Bandcamp.